It's one day away! Tomorrow Madden, Discovery Education, and the NFL Players Association launch their "EA Sports Madden NFL: Football by the Numbers" interactive site to promote math and science in the classroom through football. Brandon Wislocki and I share our experience of getting to preview the site and the simulations. We talk ease of use and some of the key features of the offensive and defensive sides of the ball as we preview some of the core math and science skills being explored. The Discovery Education blog posted its own previews with a couple of screen shots. Be sure to check back tomorrow for the official launch URL. As a huge chunk of our population sits down tomorrow and eats way too much, how many will think of the hours, dollars, sweat, and luck that went into producing the bounty in front of them? Probably not many. Discovery Education and the United State Farmers and Ranchers Alliance have teamed up to help change that through a number of teaching and learning resources at DiscoveringFarmland.com. You might also really strike a chord with one or many of your students who are already passionate about farming or ranching like my former student and Hamilton (MI) Middle Schooler Nate Freyhof, "What got me interested in hobby farming was having a good environment and having fun playing outside instead of sitting inside all day. I also think gardening and training or working with animals is fun to do. It is sometimes good to have technology around like tractors to pull a plow or dig up something." Steve Dembo recently detailed on the Discovery Education Blog some of the resources available and that the project is based around the award winning documentary Farmland by James Mol. Here are 7 great things about teaching with the Discovering Farmland site. The videos and the lessons really put a human face on farming and ranching. This is done visually but one whole lesson focuses untangling stereotypes. The four lessons fit nicely into a variety of units. Teachers can spread it out to where they spend an hour per week on top of their prescribed curriculum. Think of it like Google 20% time where you step away from "what has to get done" for a little bit to supplement with projects based on interest or that might be especially impactful. Teachers could do two lessons a week and be done in two weeks or maybe full week is dedicated to a deep dive through the entire set of lessons. Resources provided make these units ready to roll out, even if the teacher knows nothing about farming or ranching. All lessons are vocabulary rich with words that fit into science, social studies, and technology. Even though each lesson is well designed, each can be modified to meet more personal or curricular needs. For example, an economics class could research where its county ranks in terms of agricultural production or what the taxable value is on a 40 acre plot of farmland. Discovering Farmland transports students who may have never left their own urban city limits to a completely unknown and almost foreign seeming part of our world. The virtual visit is one of the truly transformative things educational technology can do and this site and resources are perfect for creating those learning opportunities. There are great resources already in place but there is still more to come from Discovery and the USRFA. Both are committed to showing not only how important our agricultural heritage is but how there are exciting high-tech careers to be had in farming and ranching. There is no food without farming and there is no farming without great science, technology, engineering, and math skills. Somebody somewhere grew the potatoes, the turkeys, the cranberries, even the cinnamon for the apples sauce we will be feasting on tomorrow. Why not use the resources in Discovering Farmland when you return to the classroom and challenge your students to find out more about who and where our food comes from? It's too early to put up your tree. It's too early to even turn on the 24 hour Christmas music station. No, it is.....well at least at our house. When the turkey dinner is cleaned up, then it.....is.....on! It's never too early though to get a jump on holiday shopping and here is your 2015 gift giving guide from MrLosik.com. In the past I have talked iPads and tablets. Last year it was all about putting STEAM in a kid's Christmas. This year it's all about "learning toys that kids don't know are learning toys" with just a little tech sprinkled into the mix. I have included the link to most of these products on Amazon and most have Prime shipping available. Most are also available from the big box department stores like Walmart and Target as so keep your eyes open when out battling the crowds. Keep your eyes open for me as well on WOOD TV next Monday morning (November 30) to about a bunch of these. Squishy Human Body - The "visible man" human body models have been around for a long time but what makes this one different is that all of the guts come out and kids can spend endless hours doing surgery by extracting them and putting them all back in together. Smart Lab Toys also includes a great guide book that teaches about each body part. This just one of a bunch of amazing products the company offers. There's a squishy brain that looks totally gross. Get the Squishy Human Body on Amazon for $21.99. Star Wars Science - Death Star Planetarium - With Star Wars The Force Awakens opening soon, there is no doubt that Star Wars toys are going to be hot this season. It reminds me a lot of the Christmas when I was a first grader. The first movie (or Episode IV - A New Dawn or whatever you want to call it) had just come out and I can't remember anything I got that Christmas that didn't have Darth Vader on it. Here comes a great model of the Death Star from Uncle Milton Toys and their line of Star Wars science that turns a dark room into a full map of our night sky or the Star Wars planetary system. Get the Death Star Planetarium from Amazon for $17.17. Candy Craft Chocolate Pen - Doodling is great. Doodling with chocolate in a variety of colors is amazing. This pen uses a variety of chocolate-filled cartridges and allows free-hand creativity or is great for filling 50 different molds that are included in the starter kit. I was exploring traditional 3D printers and doodlers, the ones that create plastic objects when I discovered the chocolate pen. Give me chocolate over plastic any day and you will save a bunch of money too. There are a ton of optional accessories that can be added from the Candy Craft line of products from Skyrocket toys. Amazon has it available for $24.93. VLC for Android is a full audio player, with a complete database, an equalizer and filters, playing all weird audio formats. VLC player Download is a free and open source cross-platform multimedia player that plays most multimedia files as well as discs, devices, and network streaming protocols. Anki Overdrive Race Track Starter Kit - Take the old slot car race track and move it 50 years into the future. Anki's starter kit comes with two robotically controlled race cars and eight pieces of easily adjustable track. Instead of just a little trigger that makes the cars go fast or too fast, these cars are controlled by an iOS or Android app. The app talks to the car and the car talks to the track helping to prevent endless spinouts and slide-offs. The app even keeps track of race position and laps completed. No one to race against? No problem. These cars can drive themselves. Yes, just like those Google cars we keep hearing about. If you think that is amazing, they also come with electronic weapons like phasers and forcefields that disrupt the other cars on the track. The starter kit is expandable with more cars and more track pieces, even jumps. This toy is more expensive at $135 but you get a lot of play for the money. it is still cheaper than most gaming systems or larger electronic devices and it stimulates the science, tech, and engineering of racing along with the creativity of designing the ultimate track layout. Get it at Amazon. 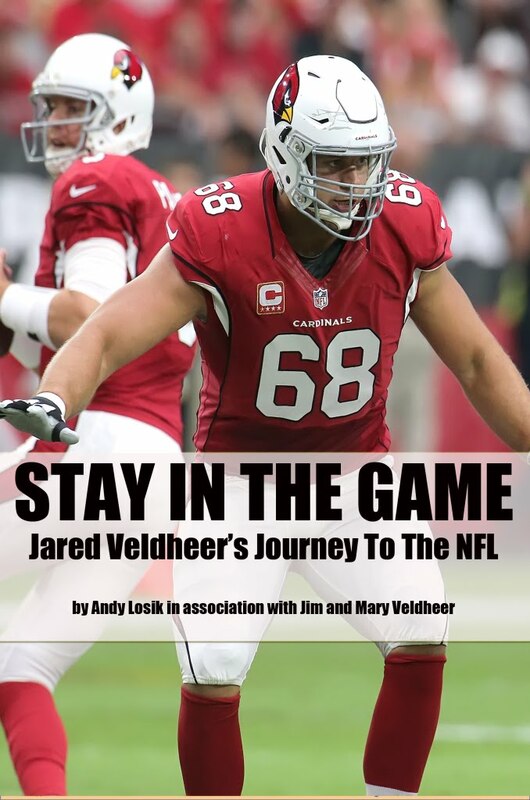 Stay In The Game: Jared Veldheer's Journey To The NFL - I am 100% biased on this one but having spent the last five years creating this book I know it will provide a lot of entertainment and insight to any sports fan age 10 and up. Jared Veldheer was an over-sized, brainy kid who often found it hard to fit-in. Things all changed when he realized he could combine his amazing athletic gifts and size with his intelligence in order to do big things in the sports world. Now he's one of the top left tackles in the National Football League. If Jared hadn't made a career of football, the core principles of his life would have likely made him successful in whatever he had decided to pursue. Get a copy from Lulu.com for $11.99. It will be one book that won't bring any Christmas morning eye rolls like other books might. Here is a bonus. I have had people ask about what the best Chromebook and tablet buys are this season so I offer up this device from ASUS. The ASUS Chromebook Flip 10.1-Inch Convertible 2 in 1 Touchscreen starts as a Chromebook but the keyboard flips all of the way back so the touchscreen can serve as a tablet. For $219 this is a great device that does anything you can do with your Chrome browser all with the convenience of the touchscreen and its price comes in way below what tablet makers like Samsung and Apple can offer. It's made believers out of a lot of educators and I know of at least two districts in Michigan that are selecting this device for their upcoming 1:1 technology initiatives. There is a ton of learning and fun in this one. Amazon Fire Tablet: At $49 this is a great little 7" device for playing games, surfing the web (Do people still say that? ), or watching streaming content. It might not have the full capability of an iPad but for under $50 it still packs a lot of fun and functionality. Ruby Rails - The new action figure from Goldieblox - She's a computer engineer who skydives. Compose Yourself - A music card game that lets kids hear their creations played by the London Symphony. Chrono Bomb - Set up a course and maneuver your way through a laser maze before time is up...just you're the 12th member of Ocean's 11. What an honor to be chosen for this great opportunity to share all of the great stuff Discovery and its corporate partners are doing to help promote a vast array of learning initiatives across the entire spectrum of education. We are thrilled to welcome 14 members of the Discovery Education Community as our Discovery Education Program Champions. These educators have been recognized for their commitment to sharing innovative digital resources, enhancing student engagement and improving academic achievement.Chosen through a competitive application process, the 2015-2016 Program Champions demonstrated their extraordinary commitment and expertise in specific topic areas – such as STEM, health and wellness, and social studies – and excellent use of Discovery Education’s programs. The Program Champions will represent one or more subject areas to share various resources and supporting programs with their colleagues and peers around the world. Champions will also represent Discovery Education and education events and virtual conferences, and help shape the development and implementation of future Discovery Education programs to ensure they are standards-and curriculum-aligned. To kickoff this new initiative, the Program Champions recently attended a two-day launch event at Discovery Education’s headquarters in Silver Spring, Md. Something that I have been suggesting for years to whoever was nearby at the annual MACUL conference is that there needs to be a strand or a room or a whatever that highlights Michigan's best. Now we will never know whether the seeds I planted actually sprouted or somebody in MACUL leadership had the same ingenious idea. All that matters is that MACUL is launching a Michigan Educators Series that features a whole bunch of people doing great things around the Great Lakes State. High School English teacher from Grosse Point was the 2013 National ISTE Teacher of the Year. TheNerdyTeacher.com is his home base but you can find Nick contributing globally. Gregory Green created the first entirely flipped high school. Check out how this approach is increasing engagement and achievement at flippedhighschool.com. There aren't many people in the edtech game I know that can just flat out teach. Dave has a way with any audience to make any concept he is sharing seem do-able and at the same time very applicable to great teaching. Dave is all over the web but his help page at Jenison Public Schools is a great place to start finding resources. From her elementary classroom in Walled Lake, Melody Arabo shares all kinds of resources and has dedicated her notoriety as Michigan's Teacher of the Year to a number of causes like bullying. Her very reflective book "Diary of a Real Life Bully" takes a unique slant on an issue that effects all of us as educators and parents. There aren't many people in Michigan who have taught me more than this guy. 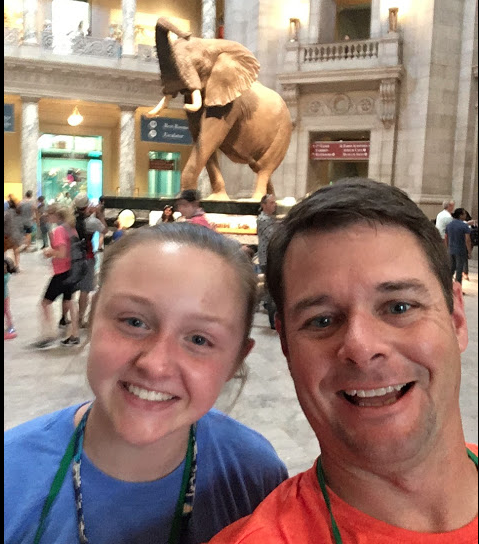 He is the ultimate connector and excels in ways to flip a classroom. Dan's Twitter feed is full of inspiring ways he's teaching science in Jackson County. Need a way to engage upper elementary kids? This lady has an answer. Rebecca Wildman has great resources for any elementary 1:1 program at her iPad Pd site. She's pretty good with the Google too. The 2016 MACUL Conference might be a ways off in March but I am excited to learn as much as I can from the new Michigan Educator Series. Also check out the newly revamped MACUL.org. Northwest Ohio Google Certified Innovator for Education Eric Curts delivers a great webinar on using Google Drawings for teaching math. Eric takes viewers through the ins and outs of Drawings but excels when he starts to unpack Common Core standards and show practical activities for elementary teachers. The geometry examples are good but the fraction activity is really innovative. I take a turn "in the barrel" as the guest of Brandon Wislocki and Kristen Davis on Discovery Education's "Get to Know Your Community" video series. We talk about a fun way my students have been mashing up Discovery content with Apple's Keynote, some Sketchnoting teaching strategies, and 20 random questions. Apologies for the poor lighting and the Tom Brady/Go Blue informal apparel...well, at least for the lighting. Get to Know Your Community, introduces you to your fellow community members in a way that’s never been seen before. Each week, we will interview a new community member. You’ll get to know who they are, what their favorite Spotlight on Strategies is, and they’ll play 20 questions in 60 seconds. Each participant will see how many questions they can answer in 60 seconds. You’ll get to know more about each community member in a brief amount of time. There is #CUERockStar Teacher Camp, but what is #CUERockStar Admin Camp? 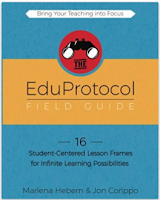 Check out this great look inside as shared by camp founder Jon Corippo. Visit cuerockstar.org for camp dates and more information. 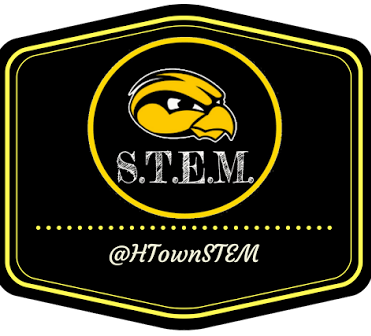 The CUE Rock Star Admin Hero's Journey is all about providing new, hands-on skills for administrators who desire to create a positive, disruptive process of change in their organizations. These will be three full, hard-working, challenging and rewarding days. The faculty and curriculum will deliver administrators (Assistant Principals, Principals, Curriculum Coordinators, Directors, Assistant Superintendents and Superintendents) the skills they need to lead their districts in more agile and adaptable ways. Check out buildwithchrome.com and make awesome stuff right within your Chrome browser. 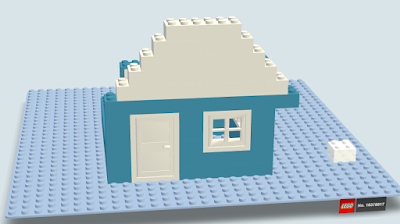 There is a lot to explore here but what I love about using it with my elementary students is that is an intuitive builder that doesn't bring in all of the distractions at the main Lego site does. There are three basic sections and one can get lost for hours in each. The "Builder" section is just that, a 32x32 base plate and a big supply (They do run out) of 21 brick shapes in 10 colors . The "Build Academy" is a set of tutorial challenges hosted by characters from The Lego Movie that gradually build in difficulty and teach advanced techniques. My favorite part though is in the "Explore the World of Builds" feature where through the magic of Google Maps a user when signed into their G+ account can stake claim to and build on literally any corner of the Earth they would like. So far I have rebuilt the swimming pool I spent most Arizona summer days in, have started work on a football stadium and spent way too much time on a late Friday Night/Saturday Morning resurrecting the greatest off-campus house ever, The Asylum, on its former corner on the Hillsdale College campus. Yes, that is an ugly yellow couch out in front along the sidewalk. You are about to read this article on FaceTime for PC Download App Windows & Mac here. How To Use Facetime on Windows 10 8 PC/Laptop. Facetime For PC, Easy Tutorial. This detailed guide will show you how to download FaceTime for PC using bluestacks so that you can make free calls to your friends via your computer or laptop. I have been a big fan of the Minecraft in the Classroom movement and some of the great ways teachers have kids show learning on the building/gaming platform. There have always seemed to be a number of setup hassles I didn't feel like tackling like setting up a server and getting student accounts set up. For me, this is way easier. There is far more familiarity for kids and myself with Legos all you have to do is go find some area where no one has built and take it over to start building the castle from Hamlet or the Great Hall from Beowulf. All builds have links and anyone who is exploring the builds can find you and your students' creations. Build With Chrome also works on the mobile Chrome browser. Maybe I just have fat and stubby fingers but it is much more difficult than the computer version. The Hour of Code project has teamed up with Star Wars and it could not be any more awesome. In lesson 1 learn to use blocks of code to program BB-8's movement and then dabble in some java script. Give it a shot and begin to build your own galaxy with code. Discovery Education is in the tundra this week with four virtual field trips (VFTs) from Churchill, Manitoba. Webcasts are available free to educators, even if their schools aren't subscribers to DE Streaming. Polar Bears International will serve as hosts and all events can be found at their event page. The VFTs are not only live but will also be archived and available on demand. Register your class for the live showings and submit questions for the hosts to ask scientists in the middle of each broadcast. Check out "Tundra Connections" from earlier today for a sample of the high quality learning experience available to students and educators or people who just love to learn. Discovery Education also is providing its subscribers with additional polar bear and tundra resources to support the virtual field trips. Check out those here. You'll be transferred once you've logged in to DE Streaming. Polar Bears International has also launched an iTunes U channel with great support resources to use in conjunction with the VFTs as well. It is not like inventing with the original Makey Makey was extremely hard to begin with, but things just got more simple and more mobile with the "Go" version. Makey Makey Go will begin shipping in December and is the size of a thumb drive making it totally mobile and less likely to get you taken "behind the curtain" by TSA when on the way to some nerdfest you're carrying kits with lots of wires, panels, and alligator clips through airports (I know a lady who experienced this.). What exactly is the "Go"? Well, this video can explain and describe it way better than I can. Here is a must-read wakeup call for educators and families. Kids will probably always out-pace us in the deception race but we owe it to them and ourselves to at least stay in the race. Last week I had a chance to catch a glimpse of this fabulous new partnership in the works. Talk about a way to "hook" the reluctant learner. EA Sports, the NFL Players Association, and Discovery Education are teaming up on an educational partnership that brings the math and science of the gridiron into the lives of kids, fans, and gamers. Below is an exert and link to Brett Molina's article in USA Today about the new program. Math and science students may soon huddle up with a name familiar to many video game fans: Madden NFL. Electronic Arts announced Wednesday it is teaming up with the NFL Players Association and Discovery Education on a program called EA Sports Madden NFL: Football By The Numbers, aimed at teaching math and science to students between fifth and ninth grades. The program will kick off on December 1. It's free to any math and science teacher seeking to incorporate Madden into their curriculum. "We’ve always strived for Madden NFL to be a teaching tool for the sport of football, and now we’re marrying the art of the video game to the science behind our young fans’ favorite sport, teaching them both the fundamentals of the sport and the math that fuels it," says Anthony Stevenson, vice president of marketing at EA Sports. The plan features several interactive scenarios based around exploring, learning and game play. The program combines football concepts with math and science principles including physics and probability. For example, one lesson involves throwing the football, broken down by the velocity and angle required to complete each pass. In another lesson, players pretend to be a defensive coordinator, using probability to choose the right play and stop an opponent. "What's really fun about it is whether a student loves football and knows the game, or has never played football before, it's so easy for them to come in to the interactive, to understand the core concepts that drive decisions that are made during the football game, and be able to apply those critical thinking skills," says Lori McFarling of Discovery Education. I have often infuriated my family by not being able to find my keys when we are all ready to go someplace. Last January they bought me a Tile ($25 on their site) that hooks on my keys and connects to an iPhone app. Now when I can't find my keys and I am within less than 150 feet I tap a button on my phone and the tile starts to chirp. The app uses bluetooth to locate the tile and pinpoints it on a map. Even if I am a greater distance away, the map shows the last place the tile talked to my phone. All of the above would be cool enough but Tile uses all other users with the app as anonymous trackers. That means that any time anybody gets within 150 feet of a Tile no matter who it belongs to, it's location is registered with the company and updated on the owner's app. Imagine losing your keys or a camera or anything at Disney World. Instead of having to look under every seat of every boat in It's a Small World, just fire up your app and chances are it will get pinged by another Tile user. The guys from Flite Test have created a great video demonstrating how all of these features work together. Check out the Tile Blog as well. If you went back to all of my notebooks from high school and college you would notice a lot of doodling. It wasn't random though. It was a series of pictures I created to help me remember more deeply the content being presented. There might be a crude White House next to something that was supposed to be the Washington Monument as we were learning about the Executive Branch. You'd probably find a lot of flames and snow flakes in my Chemistry notes as I tried to keep straight whether certain elements exploded or froze when they reacted with one another. What was once perceived as random scrawlings or worse yet time wasting is proving to be an effect way for learners of all ages to help remember material more effectively. Seeing some of the great stuff Karen Bosch was doing with sketchnotes during the 2015 MACUL conference made me realize I had been on to something since the mid 1980's. Below are slides from the introductory presentation she gives on sketchnotes. Susan Bowdoin wrote this past September on the Discovery Education blog about sketchnotes as an instructional strategy. Personally I like how she ties sketchnoting into the research of Robert Marzano that shows non-linguistic representation plays a powerful role in making learning stick. Visual or graphic note taking, also called Sketchnoting, is gaining greater popularity as a strategy for increasing engagement in lectures, seminars and video presentations. When sketchnoting, learners use visual means to analyze information, make comparisons and develop analogies to better understand and communicate what they’ve learned. This requires higher level thinking. It is also directly related to Robert Marzano’s research on the significant positive affects that nonlinguistic representations have on student achievement. Read all of Susan's tips on SOS: Sketchnotes at the Discovery Education blog. She not only provides practical strategies for implementing the strategy but also delivers some app suggestions for making this digital. Wow, and to think all of the mean looks I got from Mr. Stuyver in Trigonometry for "doodling" too much were all for naught. Those weren't doodles; they were sketchnotes. Maybe if he hadn't discouraged my use of non-linguistic representation, I would have remembered more from his class.